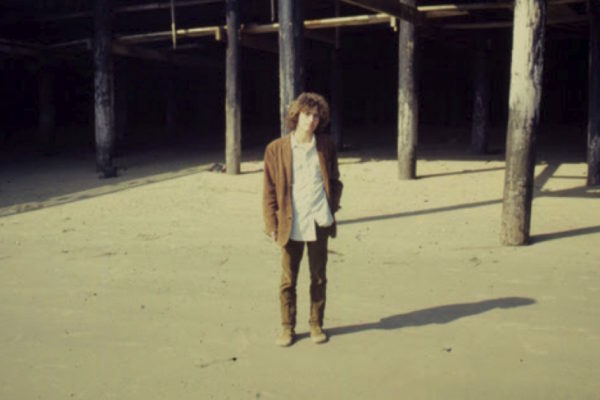 In September 1969, and at just 22 years old, Tim Buckley was at the top of his game. A couple of months after the release of what remains one of his most widely-loved albums (Happy Sad), he was in the midst of an especially fertile creative period. He played a well-received string of shows in L.A., documented on the 1994 release Live at the Troubadour. Now, hours of additional material from those shows have emerged, extending the late folk-rock cult hero’s legacy: Venice Mating Call and Greetings from West Hollywood. By then, Buckley had only been a recording artist for three years. Yet, he’d already undergone a remarkable artistic evolution. His self-titled debut LP was a relatively simple slice of art-folk, while the follow-up, Goodbye and Hello, leaped into ambitious, Sgt. Pepper-influenced baroque rock. But Happy Sad took a drastic detour into a passionate folk-jazz feel inspired by Miles Davis’ jazz innovations. By the start of the ’70s, Buckley would venture into avant-garde explorations; at the end of ’69, Buckley was really feeling his oats, coming to terms with the power and possibilities of his voice, letting it all hang out, and making it work. And that’s the luminous period captured on the Troubadour recordings. Up until now, all fans had to go by was Live at the Troubadour; Venice Mating Call and Greetings from West Hollywood make it clear that Buckley was capable of making magic happen onstage every night. Of course, it didn’t hurt that he had one of his most spontaneous ensembles on hand for these shows: his longtime sidekick Lee Underwood on lead guitar and electric piano, Frank Zappa/Captain Beefheart drummer Art Tripp, bassist John Balkin and conga man Carter “C.C.” Collins. Together, they tackled material from Happy Sad and Blue Afternoon, as well as embryonic versions of songs from later albums and even some tunes that would never see the inside of a studio. Greetings from West Hollywood (a play on the title of Buckley’s 1972 album Greetings From L.A.) is a nine-song double LP, while Venice Mating Call (named after the Buckley instrumental included in both packages), is a 13-song, two-CD set. 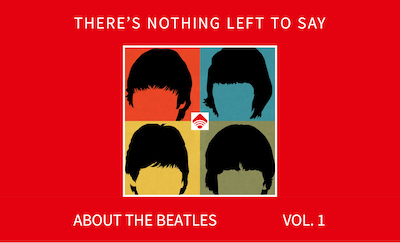 Each contains its own unique set of recordings from the Troubadour run. And it’s clear that Buckley and his band were on fire for the entire stint. The quintet used their free-flowing improv chops to turn those songs inside out, upside down, and any other way the muse demanded in the moment. The result is a constantly-shifting amalgam of folk, rock, jazz, blues, and more. Buckley commands a broad range of emotions over the course of these sets, with his fluid tenor turning either urgent or sultry, as the moment demands; the band is right there with him every step of the way. He makes his way through a hazy dreamscape in the hypnotic “Driftin’,” employing long tones that swell and swoop with a gauzy, ghostly feel, as Underwood frames Buckley’s ululations with some gently jazz swooping of his own. On the breezy, bossa nova-inflected “Blue Melody,” Buckley comes off like an otherworldly Joao Gilberto, as Underwood gracefully blurs the edges of the tune and Collins chimes in with just the right percussive punctuation. But when Buckley gets worked up, as on “Gypsy Woman,” Underwood’s edgy electric piano and Tripp’s drumming egg him on, and it sounds like he damn near leaves his body. He wails, shrieks, moans, coos, and generally pushes his voice past the limits of human possibility, while the band alternates between a simmer and furious boil. On “Nobody Walkin’,” Buckley and company turn a basic bluesy vamp into a churning, sweaty cross between a Baptist revival meeting and a jazz-juiced bacchanal. The concerts captured on these two collections will be revelatory to those who haven’t already heard Live at the Troubadour. But even for those who have, it firmly reinforces the fact that Tim Buckley was one of the most fearless artists of his era. Not only did he push the artistic envelope by trying new things in the studio (evidenced by albums Lorca and Starsailor), he was equally courageous in front of an audience, willing to follow a feeling wherever it led. And with the superhuman vocal talent displayed on these recordings, Buckley was able to go places nobody else could.